Reunion with Hijikata: Ikedaya Incident! 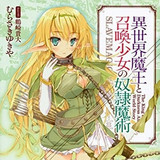 In commemoration of the release of the novel's latest 12th volume today, Digital bookstore BOOK☆WALKER has started conducting an online poll to choose the most popular heroine in Yukiya Murasaki's fantasy light novel series How Not to Summon a Demon Lord simultaneously in Japan and the U.S. Hit the jump for more details. 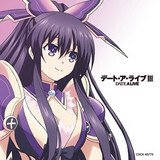 Nippon Columbia's official YouTube channel is now streaming preview videos from the TV anime Date A Live III's upcoming two "Music Selection" albums, including the anime's soundtrack music composed by Go Sakabe and newly-recorded character songs by Shido, Tohka, Kotori, Origami, Kurumi, and Natsumi. Check out the special music collection after the jump! Aniplex has announced the DVD and Blu-ray of Fate/stay night: Heaven's Feel II. 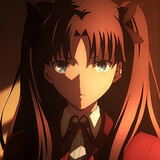 lost butterfly, the second chapter of the trilogy anime film project based on the third route of Type-Moon's visual novel Fate/stay night, is set to be released in Japan on August 21, 2019. Check out various bonus items for the disc after the jump! Following the teaser announcement on Tuesday, Japanese TV network Fuji TV's newly launched BL (Boys Love)-themed anime label "BLUE LYNX" announced its first film, Saezuru Tori wa Habatakanai (Twittering Birds Never Fly) The clouds gather, which is based on Kou Yoneda's popular yakuza BL manga. Learn more about the anime project after the jump. The team looks far and wide to find Yamaneko, but she's already become a changed person. Dancho is forced to say goodbye to the Yama she loves so dearly.